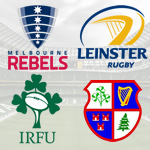 babbling brook, the leinsterfans.com supporters forum • View topic - Welcome Home, Felipe! In terms of brand, culture and identity, it's a fantastic appointment. Just as we say goodbye to Isa and Girv, we get to welcome Dr. Phil back. Really smart move by Leo. Chapeau!!!! The only person in planet earth J10 looks up to. Good job Steo. I know nothing about Dr Phil's coaching abilities but it feels right. As mentioned above, exactly the type of personality to fill the gap left by Isa's departure (who they presumably wanted to stay on as coach). Also as mentioned above, Leo's recruitment has been very good, so hopefully this continues the trend. Very excited if this is confirmed. A link to our past buccaneering style of back play. A bit of that combined with the steel of our pack as coached by Leo and Fogarty- as well as the organisation and innovation of Lancaster bodes well for our evolution as a club. Next season has all just got a bit more fun in contemplation. Oldschool wrote: Eh lads, Philipe was primarily a great centre and a reasonable OH. I'll be more than interested to hear what exactly his role is and what his professional coaching qualifications, as a coach, are. I just don't want us to become a coaching academy for Argentina. 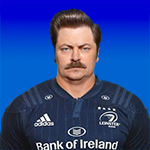 Ask not what we can do for Felipe but what can Felipe do for Leinster. Whatever about qualifications, I think it’s fairly obvious what Leinster would expect him to bring: back-play attacking nous. Along with an intense understanding of our culture and the right type of passion- not “pashun”. And I too would expect him to deliver all that. Felipe was a super outhalf for Leinster and Argentina. Maybe he was a better 12, but he was a damn fine 10. His skills, his power, his fiery competitiveness- I don’t think we get to where we got to without him. Signing him is the reason BOD (& others) didn’t get frustrated and feck off to France. This. Exactly, he mentored Sexton through very nicely, he will be an excellent hands on coach with Byrne I'd imagine, as well as having Sexton to learn off week in week out. I'd still love to know all the promises made to Carbery to get him to move, a start in Australia was clearly one, I'm sure many more, but again, another Leinster player codded by Munster and will go there for their career to die. When a club is desperate to sign you because the 3 or 4 young 10s they have in their squad haven't progressed at all, you should be wary of going to an amateur organization. Byrne will be miles ahead of him by the world cup. Excited to see Dr. Phil back. Always a fan of keeping legends around the club as much as is possible and reasonable. I welcome his return but Contepomi wasn't a world class 10, I'm sure that Ross Byrne will be happy to work with a Leinster legend but it's not like he'll be learning from Dan Carter. As for the Carbery stuff, is this just Munster bashing? He signed to play in the XV regularly and hopefully at 10 and I am sure he will feature as a first choice team member in the big games and play regularly at 10. I would seriously doubt that "Byrne will be miles ahead of him by the world cup" as Carbery is a level above Byrne, is younger, and unlike Byrne will be playing in the biggest games in 2018/19 for his team. Being a “world class” player (whatever that actually means) is no guarantee - or even indication that you will be able to coach well. Sport is littered with cases of genius players who could not cope with normal talent. I’d take a Felipe who understand us and the way to get a back line to operate effectively over one of the virtuosos. Let’s be honest, Girvan was never on those lists of the ‘best full back/ winger ever’, and he did all right. A bit of curmudgeon about some of the reservations here. Last edited by artaneboy on June 25th, 2018, 9:18 am, edited 1 time in total. Weird opinion. I saw Contepomi play live scores of times and probably over a hundred times in total. I've no hesitation in saying that he was a world class 10 ... he was a world class 12 too, just an amazing midfield player. He started 31 tests at outhalf and played both No10 and No12 throughout his career - his first cap at outhalf came in 2000 and his last in 2013. He's in the World Rugby Hall of Fame, was an International Player of the Year Nominee, played in four RWCs, played for the Pumas for 15 years, is their most capped player ever, their highest points scorer and captained his country. And he scored 31 points against France in a single game in 2010 and 416 points for Leinster in the 2005-06 season. It's very f*cking safe to say he was world class. From the time people started interviewing Sexton, he has been effusive in his praise of Contepomi – how much he learned from him, how generous he was with his time, how encouraging he was etc. He has long credited him as having a big role in his development as a player. Contepomi has been involved as a backline coach with both the Jaguares and the Pumas over the last three years – he's not coming in from scratch or solely on the back of his reputation as a player. He'll fit into his role under Leo and Stuart Lancaster, just as Girvan did, and I'm sure he'll learn a lot from Lancaster too. He's massively charismatic and the sort of person that players respond to, in much the same way as Andy Farrell has been for Ireland and the Lions. I think it's a great appointment. hugonaut wrote: Weird opinion. I saw Contepomi play live scores of times and probably over a hundred times in total. I've no hesitation in saying that he was a world class 10 ... he was a world class 12 too, just an amazing midfield player. He started 31 tests at outhalf and played both No10 and No12 throughout his career - his first cap at outhalf came in 2000 and his last in 2013. He's in the World Rugby Hall of Fame, was an International Player of the Year Nominee, played in four RWCs, played for the Pumas for 15 years, is their most capped player ever, their highest points scorer and captained his country. And he scored 31 points against France in a single game in 2010 and 416 points for Leinster in the 2005-06 season. It's very f*cking safe to say he was world class. World class 10 nah, but good which as Artane implied might be for the best. Felipe was great with the fans too, world class in fact. I remember queueing in Donnybrook for ages to get his autograph. I wasn't alone and he stayed and stayed, his security minder was starting to get p!ssed off but not Felipe. Most importantly of all, no matter our invidual opinions on his playing ability (nothing less than good at the very least) I'm sure we all wish him well. I'd be more than happy for the good doctor to return. This is good news !! He was a class player at 10 and 12, is a Leinster legend so good for the culture, has extensive coaching experience and Sexton speaks highly of him, Leo has made great calls to date and no reason to doubt to him here. Yes this may not work out but there are no guarantees anywhere. Good day for Leinster. Glass half full lads !! Blueberry wrote: This is good news !! He was a class player at 10 and 12, is a Leinster legend so good for the culture, has extensive coaching experience and Sexton speaks highly of him, Leo has made great calls to date and no reason to doubt to him here. Yes this may not work out but there are no guarantees anywhere. Good day for Leinster. Eh no. He was already playing in Leinster's 15 regularly. He signed for Munster to play 10. The was all made very clear. Contepomi has been involved as a backline coach with both the Jaguares and the Pumas over the last three years – he's not coming in from scratch or solely on the back of his reputation as a player. This was my one reservation. The game has moved on a lot in the last 5-10 Years. I wasn’t sure what Felipe had been doing. Knowing he’s been coaching makes me feel pretty awesome about this return. We’ve wondered since 09 how we’d manage without leo, Jennings, bod, isa (twice) etc with regards to culture. We saw our culture go down the toilet with moc. Felipe coming back helps with isa leaving. This thread has to be a first. It's the first thread where everyone seems to be in total agreement with the thread title. My only concern is that once upon a time everyone thought the world was flat, surely they couldn't all have been wrong, could they? Actually, no, they didn't. A common misconception probably arising from late 18th early 19th century histories of science of dubious scholarship. Welcome back Dr. Fel, I'll always remember your swashbuckling attack in Toulouse as well as you captaining the Celtic League team (when you led Johnno to our first title in years) and dragging half a dozen opposition players over the line with you to score. You looked a giant among men in games like that. I'll be delighted when / if confirmed.